THE HERO WORLD CHALLENGE is little more than a junket, a free ride for an elite group of players who will play 72 holes on a glorious golf course, collect a bucketful of cash whether they finish first or last and then head off home with huge smiles on their faces and bank accounts that bulge still further. 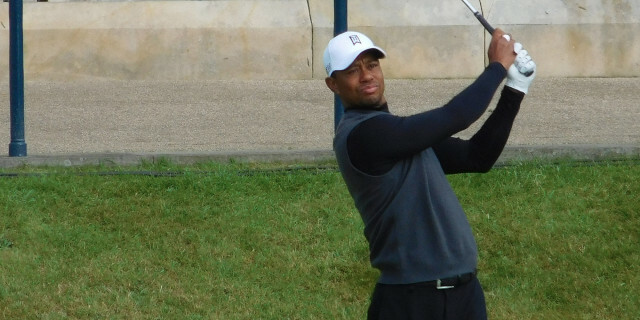 What makes it of particular interest is that it is hosted by Tiger Woods and it was the tournament where, 12 months ago, he returned to action, shot more birdies than anybody else in the field and gave us a tantalising glimpse of what we had been missing. And what we had been missing was the greatest golfer of his generation, a man who had won 14 majors and would surely have added many more had his career not been blighted by injury. Many who watched him that week thought that they were probably doing so for the last time, that the optimistic noises he was making were no more than that and that his body would break down. Turns out we didn’t know him at all. Before long he was back contending, coming close but failing to close the deal. Most of us hoped that there might be another tournament victory somewhere along the line, but felt that the back fusion surgery that had allowed him to get back out there probably wouldn’t hold up. How wrong we were. He turned up at The Masters and immediately found himself installed as one of the favourites on a course that he loves. It was ridiculous, of course, and he was never a factor. Then he missed the cut at the US Open. But so did Rory McIlroy and so did Sergio Garcia. Then he arrived at Carnoustie, where a miracle almost happened. Going into the back nine in the final round there was his name at the top of the leaderboard at The Open Championship. He couldn’t, could he? In the end, no he couldn’t. He came up short. But now we all knew for sure that he was back in business and that when he told us he still believed he could win another major then maybe we should actually believe him. And he very nearly did precisely that at the US PGA Championship, chasing down Brooks Koepka with a sensational final round that rolled back the years. We saw the unlikely putts being holed, the wondrous recovery shots, the first-punching. But still he couldn’t quite pull of the miracle, still he couldn’t win a tournament. We should have known that he wasn’t finished. His play throughout the year ensured that he made the 30-man field for the Tour Championship at East Lake - that in itself was an incredible achievement, and something that Jordan Spieth was unable to do. And then, lo and behold, he only went and won the thing. Tiger Woods was back. Tiger Woods is back. He may now be in his 40s but he has overtaken Spieth in the world rankings and will head into the 2019 season believing that his 15th major title is only a a matter of when, not if. So once again he will be a playing participant in his own invitational tournament, and this time he will start as the favourite. And who are we to argue with that? Forget about his miserable Ryder Cup - Le Golf National was never going to suit his game. With the sun beating down on his back at the Albany course in the Bahamas, Woods will be in his element. And he has assembled a stellar 18-man field that includes 16 of the top 23 players in the world. The full field is: Woods, Justin Rose, Dustin Johnson, Justin Thomas, Bryson DeChambeau, Jon Rahm, Rickie Fowler, Tommy Fleetwood, Jason Day, Xander Schauffele, Tony Finau, Bubba Watson, Patrick Reed, Patrick Cantlay, Alex Noren, Hideki Matsuyama, Henrik Stenson and Gary Woodland. Apart from Woods, there will be huge interest in Rose and DeChambeau, the two players who have taken the world by storm these past 12 months, despite the fact that neither managed to win any of the majors. Rose has produced a level of consistency that has been quite mind-boggling. He crowned it all off by successfully defending his Turkish Airlines Open title. It took his to third in the Race to Dubai and gave him the opportunity to overtake Francesco Molinari and finish the season as top dog in Europe. 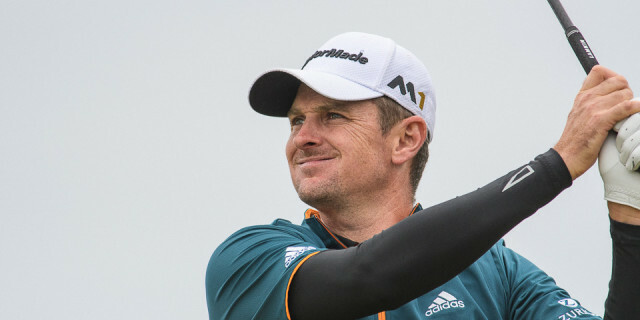 Many were surprised that he chose not to play in either the Nedbank Challenge or the Dubai World Championship but there was something quite refreshing about his refusal to chase more money and instead leave Francesco Molinari and Fleetwood to battle it out. DeChambeau has been a revelation. A man with a technique and a mental approach to the game that is utterly unique, he has struck up an unlikely friendship with Woods - and has even been seen trying to give Woods putting lessons. His recent form has been nothing short of mind-boggling. All logic dictates that the way he swings a golf club should not work. He has taken logic, twisted it, crumpled it up and thrown it out of the window. He will be the first to admit that he is not everybody’s cup of tea, but his results speak for themselves. And do you honestly think he cares what anybody else thinks about him? No, we don’t either.